The Big Thanks Die-namics pairs perfectly with the secondary sentiment from the Cooler With You stamp set. The sweet colored image and the colorful, paper pieced background, definitely make Annette's card more fun! A gorgeous sunset created above a deep rich sea make the Distress Oxide background on Reni's card the star of the show. 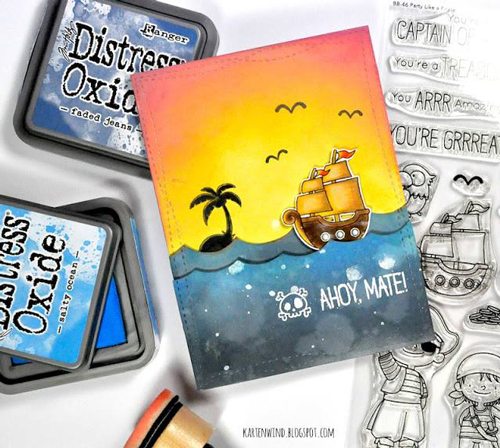 She completed her design with stamped elements from the Party Like a Pirate stamp set and we think it's grrrrreat! 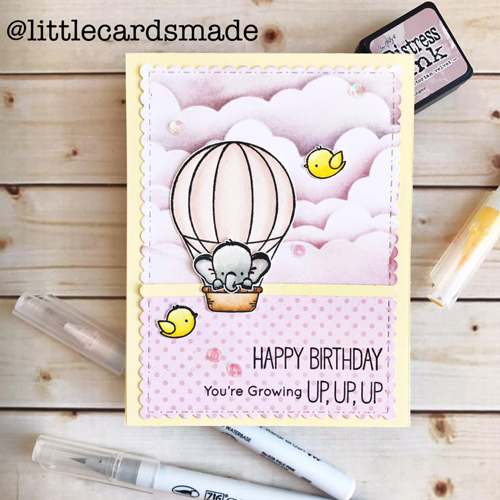 We love how Shirley used the Stitched Rectangle Scallop Edge Frames Die-namics to create her scene before adding it to her card base. 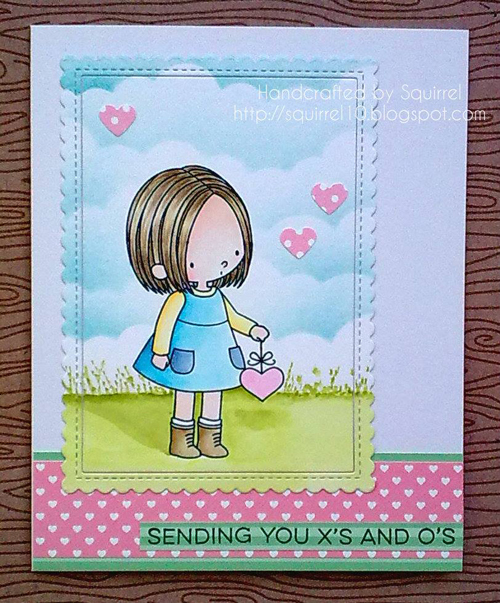 The heart patterned border and sentiment along the bottom complete this sweet card design. The monochromatic colors that Lia featured in the main panels on her card design look beautiful against her yellow card base. 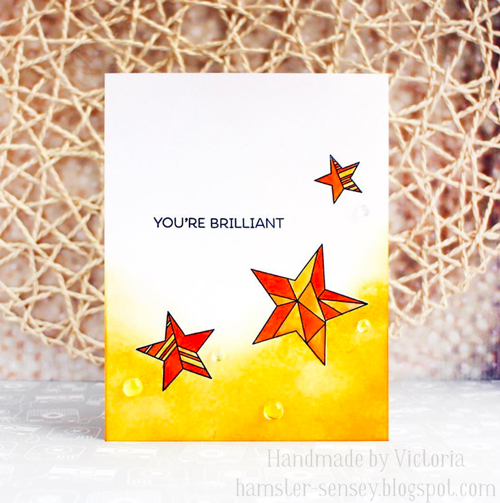 Victoria's bold color palette really makes the stars shine on her card design. The yellow inking on the bottom pulls all of the colors together and keeps the focus on the stamped stars and the sentiment. Thank you so much for sharing my card today. All of these cards are amazing.